It was around 1.30am on Sunday morning when I was running through the woods with only my head torch to light the way, jumping over tree routes and skidding in the mud, that I wasn’t sure if I understood myself anymore. Trying not to think about what was lurking in the bushes, or if I was going to knock myself out by running into a tree, I realised this was a new level of crazy. 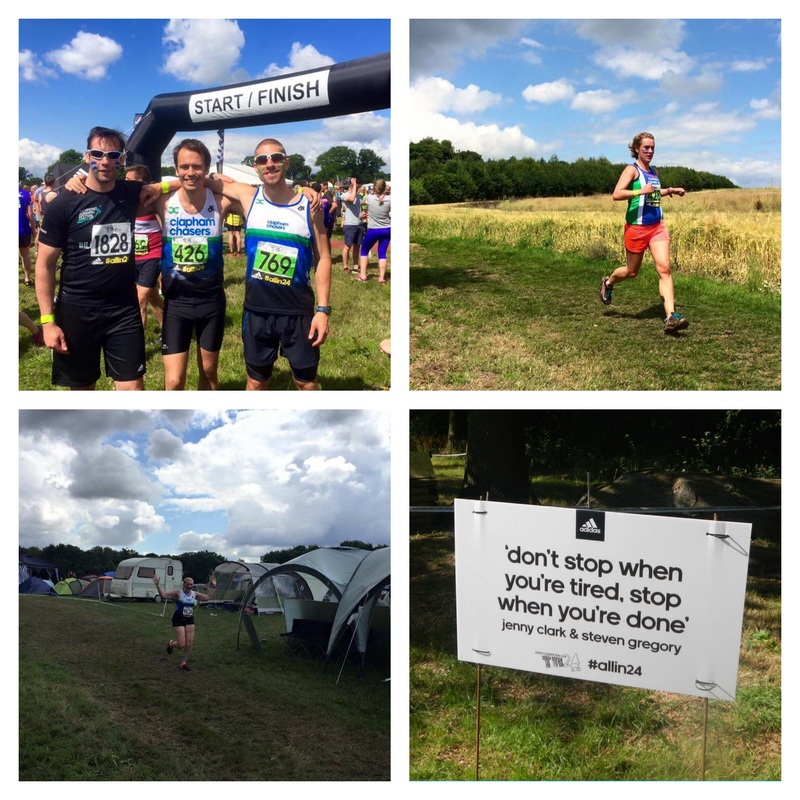 This weekend I both loved and hated running in equal measures. On Friday night I met 15 Chasers in Clapham Junction to jump on a minibus to Derbyshire. 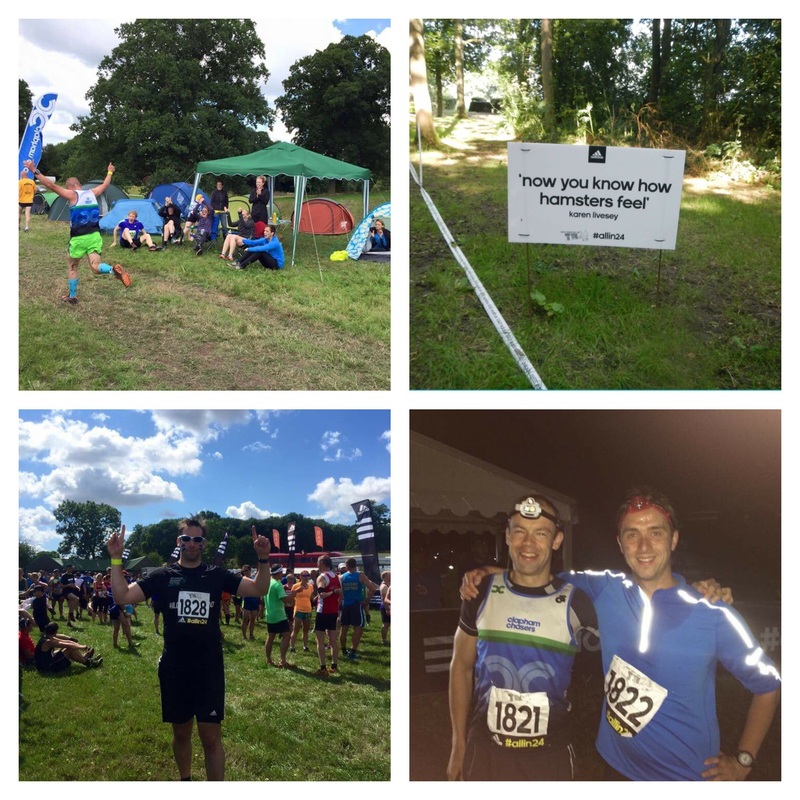 This weekend we were taking 4 teams to Thunder Run, a 24 hour off-road relay on a 10k loop. 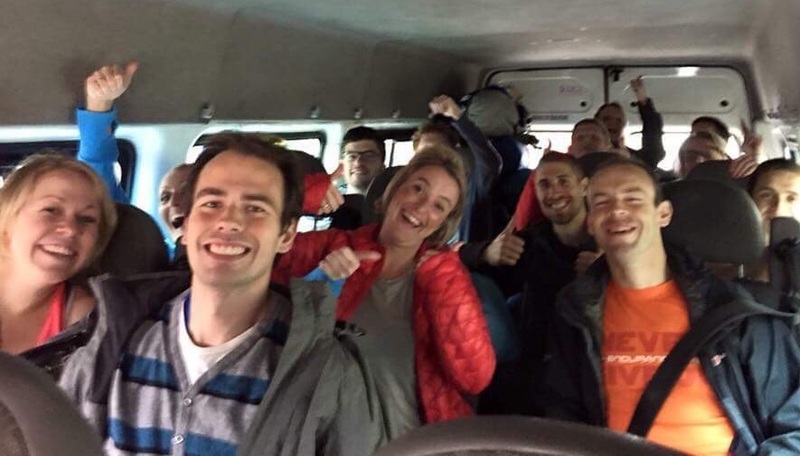 The first challenge was to get everyone and everything on the minibus…with 16 seats, 16 people and 16 people’s camping stuff, it was a bit of a jigsaw. It had been absolutely chucking it down all day, with no signs of it stopping, so we were in for a soggy and muddy night. However, no amount of rain can ever dampen the Chaser spirit so we cracked open the M&S G&Ts and turned up the music. As our driver took us on the most convoluted way out of London, and refused to go above 55 on the motorway (Gemma & Martin had to swap seats so Martin didn’t kill him…), we realised we wouldn’t be arriving until quite late. But it was OK, because I was sat next to a drunk Frankie and we were singing along to Oasis at top volume. There would be no sleeping on the party bus! We arrived at the campsite in Catton Park at around 11pm. It was dark, raining, and we (OK, some of us) were a little drunk. Ross took charge and found us a place to pitch up, we didn’t really know where we were but it would have to do. Thanks to help from Barry and Paul, I eventually got my tent up and it was time to bed down for a cold and uncomfortable night just after midnight. The next morning brought sunshine, friendly people and tired, but excited Chasers. We put our flags up, got Ingrid ready for support duties, and checked out the campsite. Somehow we had managed to secure an ideal camping spot, we were a short walk from everything we needed and were directly on the race route just after the 2k marker, perfect! We had 2 teams of 5, Frankie & the Clap Claps (going for the win) and the Clapham Beasts, a team of 6, Frenchie’s Midnight Runners, and a team of 8, Thunder Honks (nobody was up for the solo option…). I was in a team with Gemma, Barry, Ross, and the 2 Pauls which actually turned out to be an ideal number of people. 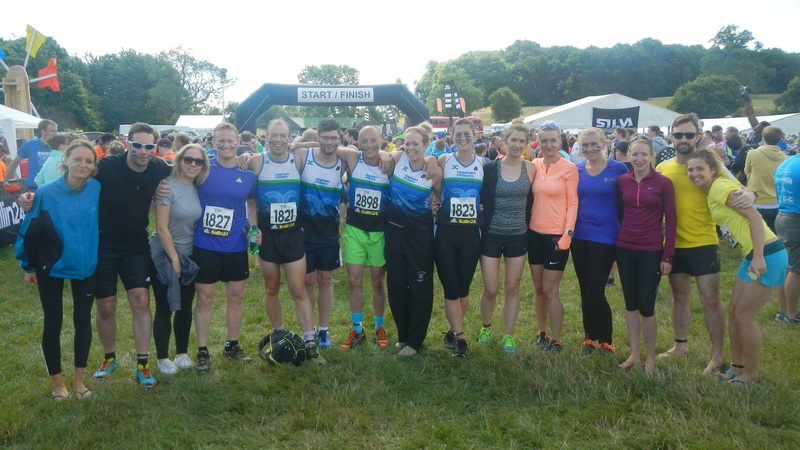 Having a schedule was absolutely key – with 6 runners, running day and night, we needed to know when to be ready so we didn’t miss the changeover or have to hang around unnecessarily. After forecasting everyone’s run time and allowing for the nature of the course, night runs and increasing tiredness, we had a target of 26 laps over 24 hours. This would mean that the 2 runners who were most up for it at the end would need to run 50k with the others 40k. The race kicked off at 12 so we all headed down to cheer on the first runners, Paul W was up first for us, before heading back to camp to see them fly past at 2k from our camping spot! 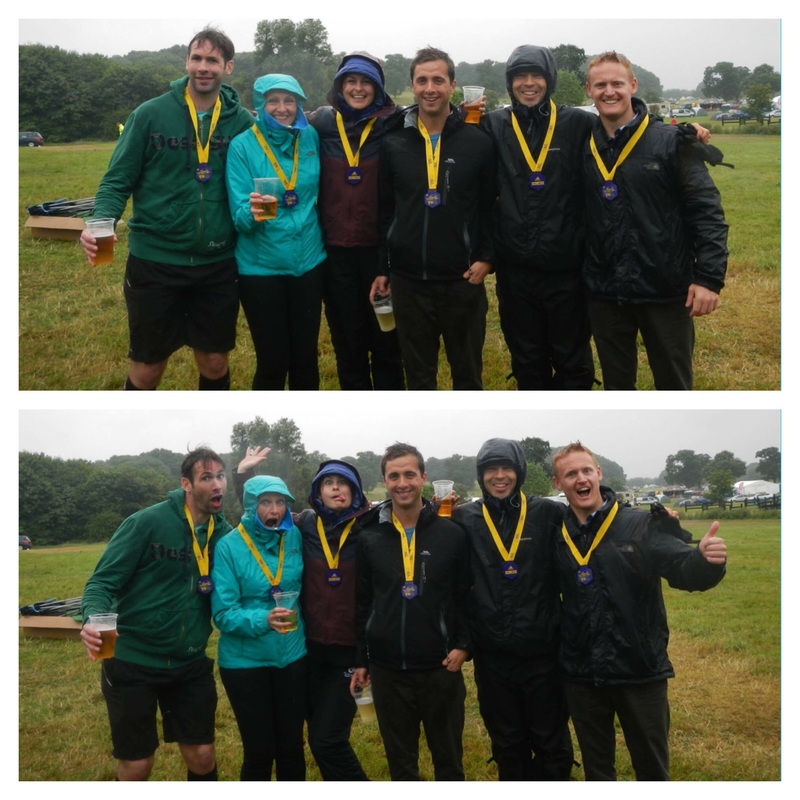 Bryn was first back off leg 1 and we knew immediately that the course was a lot tougher than any of us had anticipated, made worse by the heavy rain which had left some sections a complete mud bath. 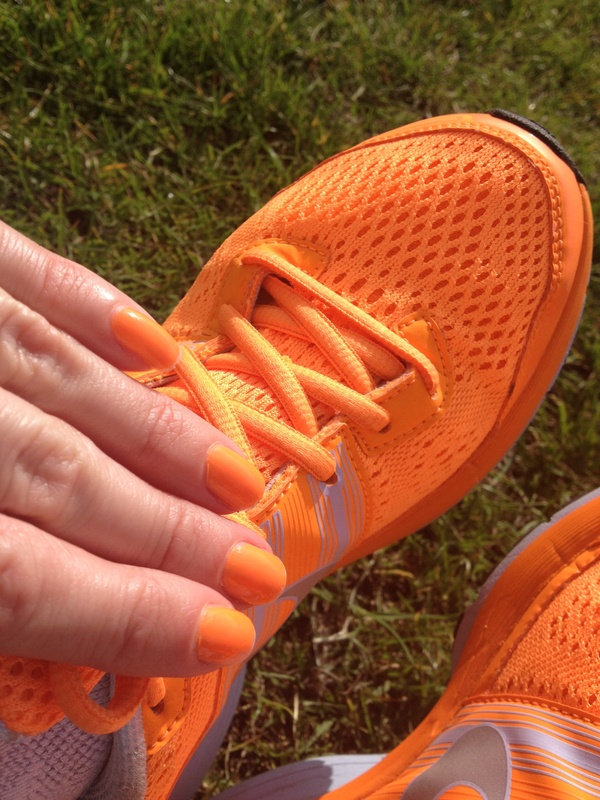 I was on the 3rd leg after Paul G so, as soon as we cheered him past us I started to get ready. Being located at 2k turned out to be invaluable for forward planning! The transition area was busy and there was only a short section of 200m where you could see the runners come in so you had to be ready to move quickly. Paul saw me straight away, he slapped the baton on my wrist and I was off. 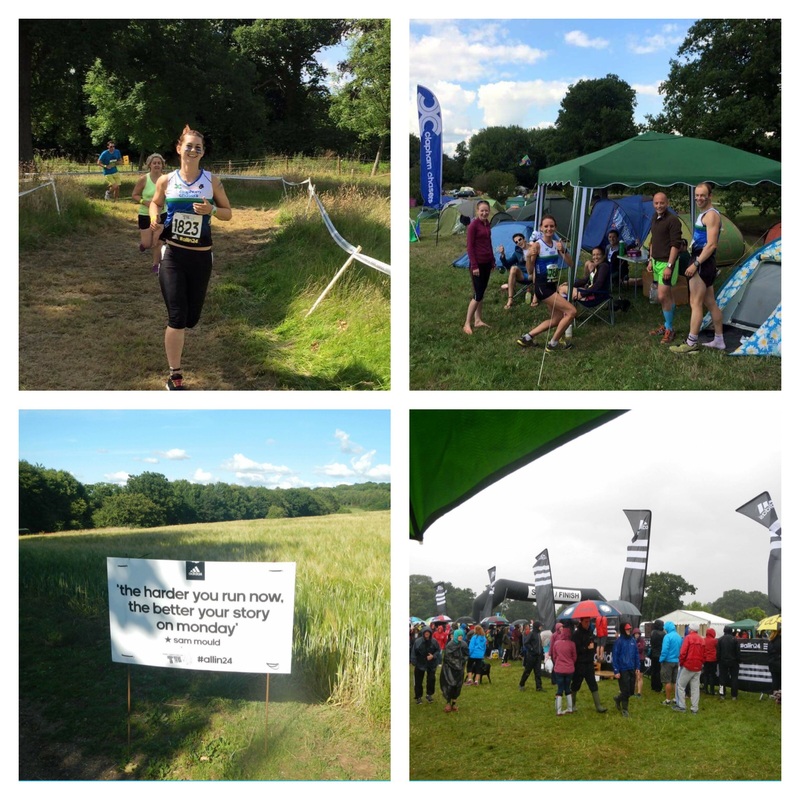 The course starts by taking you through the campsite and I ran straight past the Thunder Honks, it was great to get a huge cheer to send me on my way! The grass path continued out of the camp and turned up a sharp hill into the woods. It was muddy, narrow, and hilly and my pace dropped as we twisted round the trees. As the course opened out it became even muddier, really squelchy mud that was impossible to get any grip on, if the whole course was like this I was going to be way off my expected finish time. Eventually it became a bit drier and I saw the 2k sign as we turned back into the campsite, I was going to see the Chasers! They spotted me coming before I got there and I could hear the cheers, it was just what I needed! The first 5k was pretty hideous, tough hills, severe muddy sections and blazing sun, at 5k my watch said 31 minutes, I was on for a huge personal worst in a team event. Brilliant. We came to another hill which had been sectioned off with chip mats for a sprint competition (probs wouldn’t win that), then headed back into the woods for a windy section round the trees that involved a lot of ankle busting tree roots (ideal). At 8k we headed downhill onto a firm path that would lead to a lake and back into the campsite for the last kilometre, my favourite bit! The ground was firm, the support was good and I was relieved the end was near. Turning the corner I could see the finish and Gemma yelling at me with a big smile, I gave her the baton and wished her luck! Back at camp I had to quietly admit my time, there was no hiding it, it needed to go on the spreadsheet of declaration! It was only 4 minutes off target so it could have been worse, but I couldn’t see myself getting any faster. I had some food and hung out with a cheerful Ingrid watching everyone run past. After Gemma and Barry had ran their first legs we were around 10 minutes behind schedule before Ross set off. Ross is supposed to be taking it easy so, despite being a fast runner, we set him an easy target. However, Ross being Ross he smashed it 12 minutes quicker than planned and put us straight back on track! If Ross was going to be quicker than planned, which looked likely, it gave us some flex so we could still hit our target 26 laps even if some of us were struggling to hit the right times. Phew! My 2nd leg was scheduled for 19:10 and we were on target, the changeover was smooth and I was off again. As I reached the 1k mark I was pleased to find the mud had dried out and I was finding it a lot easier. The run was much more comfortable, the Chaser cheers were louder and the air was slightly cooler – those hills hadn’t changed though! I only ran about 30 seconds quicker than the first lap but I wasn’t too worried anymore. At the end, I took advantage of the hot showers, but the food queues were huge so I just had some snacks before trying to get a couple of hours sleep in my freezing tent. My night run would start at about 00:45 so Paul W made sure I was awake when he came back of his 3rd leg so I had enough time to get ready. This was the lap I was really worried about, I couldn’t see a thing other than what the beam from my torch would allow and the cold air had made the grass a little slippy. I decided to take it steady and just get round. Running through the woods in the dark was a surreal experience, although there were other runners around, it felt a lot quieter than during the day. I ran the whole way, quietly cheering the solo runners as I passed, it was actually quite exciting! There were some sections where I felt completely alone and I wondered if there were any mentalists in the bushes waiting to kill me. There weren’t. Somewhere in the windy tree section I heard someone yell ‘Frenchieeeee’ and Martin flew past, it was hugely reassuring to see a friendly face. Not long after, I heard some music and another call of ‘Frenchieeee’ before Matt flew past me. I don’t know how either of them recognised me but I was grateful they did, I may have been running through the woods in the dark but I had friends and I was nearly finished! Running into the finish area I could only see headlights so I yelled GEMMAAAA and was delighted she was there. Job bloody done! My next run was at 6:40 so I really needed to get some sleep but I was absolutely buzzing, I think I sort of enjoyed it! I took a cuppa back to my tent, checked that Barry was awake, ‘yeahhh, but I wish I wasn’t’ came the reply, and tried to sleep. It was just gone 2am so, if I fell asleep straight away (unlikely), I would have 3 odd hours sleep before the alarm. I hate running as soon as I wake up, so I wanted to allow some snoozes to wake up gradually. I’m not sure if my system worked, or I was running off adrenaline, but I somehow managed to to be wide awake and ready for lap 4. The thing I found most difficult about this run was that I was running on empty, I’d had a few snacks after the 2nd lap and a handful of pretzels after the 3rd, but it wasn’t enough. Drained and tired, I pushed through the last km, Martin flew past again yelling some encouragement and I crossed the finish line and into the face of a smiley Gemma for the last time. 40k. I was done! It started to rain. It was chilly and miserable and the rain got harder and harder, everyone was tired and achey and really not looking forward to their last laps. I have huge respect to everyone who was knocking out their 5th, 6th and even 7th laps! Collectively we agreed it had been a great experience but we had done it now and wouldn’t be back next year. After Paul passed the tents we headed down to the finish to welcome him home and go to the bar! Paul W and I waited at the finish for Paul G to come home but we didn’t know where the others were. With around 23:48 on the clock, a very muddy Paul rounded the corner and came into the finish. 25 laps done, we had finished!!! We waited for the others to finish their final laps, Katie, Gemma and Frankie were still out on the course. Frankie & the Clap Claps were on for the mixed team win so it would be a big moment for them, as Frankie came in Martin and Alex jumped over to run the final stretch with her – WINNERS!!! We all headed to the bar for some much deserved beer/cider…in the rain…and the cold. People were still coming into the finish and I happened to turn around and saw someone coming into the finish line that I recognised… It was Barry. What? Barrry? Barry’s running? BAARRRRRYYYYY!!! And there was our final team member coming into the soaking wet finish to bring us up to 26 laps and hit our goal, and we didn’t even know! I was completely gutted to have nearly missed him, I genuinely had no idea. Baz was the star of the team! Exhausted, happy, and a little emotional. 6 people. 24 hours. 26 laps. 260k. Thunder Run done! The presentation ceremony wasn’t happening until 2 so we killed some time at the bar as everyone around us disappeared, I think it was only the winners that were actually left by this point. Back on the soggy minibus everyone fell asleep, we were completely shattered, but when I got home it wasn’t long before the group messages started. Maybe we should do it again…maybe we should be more prepared…maybe Thunder Run 2016 is on! Thunder Run will test your tactics, endurance, speed and team work. 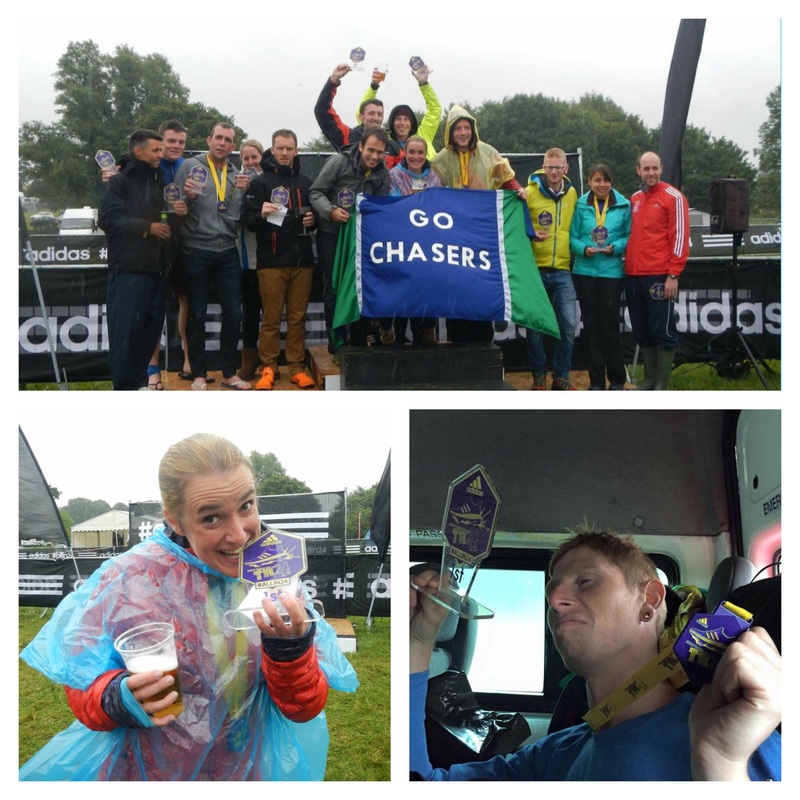 It’s an exhilarating, rewarding and tiring race with a great atmosphere. 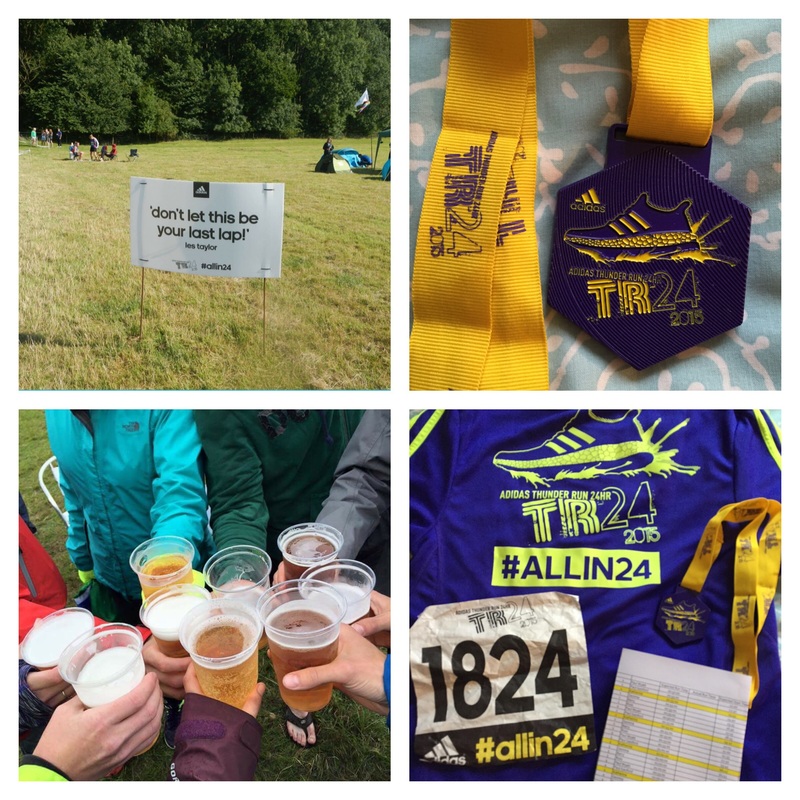 You’ll find TR24 physically challenging and mentally tough but an experience not to be missed. I say, that’s bang on. I didn’t think it would make much difference who you were in a team with, but that wasn’t the case at all. You need to be with people who have the same expectations and are willing to work together. We knew we weren’t going to win, but we had a goal, we took it seriously, planned ahead and looked after each other, it resulted in a goal well and truly achieved and a successful weekend. Thanks to the most fantastic teammates, especially Paul and Barry who willingly took on an additional lap in torrential rain, and thanks to all the Chasers for another epic weekend! Running round this lake has inspired me, made me a stronger runner and broken me in equal measures. This is the place I ran my first ever race of a mile at 8 years old, my first ever 10k and my current 10k PB. 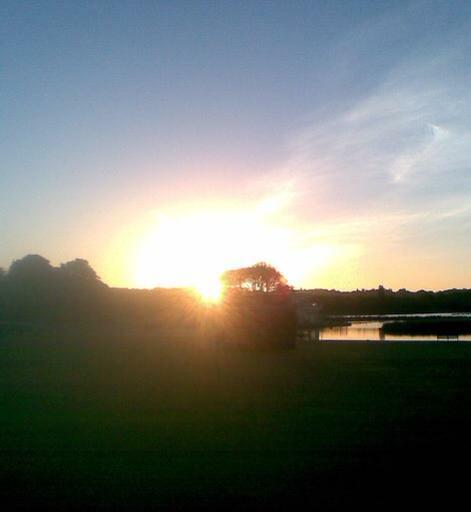 This was the sunrise over Poole Park last Sunday morning – it was going to be a warm day. The Poole Festival of Running has been going for as long as I can remember. Each year, on the first Sunday in June, Poole Runners host a series of races in the park, from children’s 1 or 1.5 mile ‘Minithons’ for 8-14 years olds to 5k or 10k races for 15+. It’s a real family day out and I’m hugely supportive of any event that encourages participation at all ages. The only problem with the 10k is that it’s the last race of the day, and therefore doesn’t start until 2pm, which is something I think they’ve got wrong. 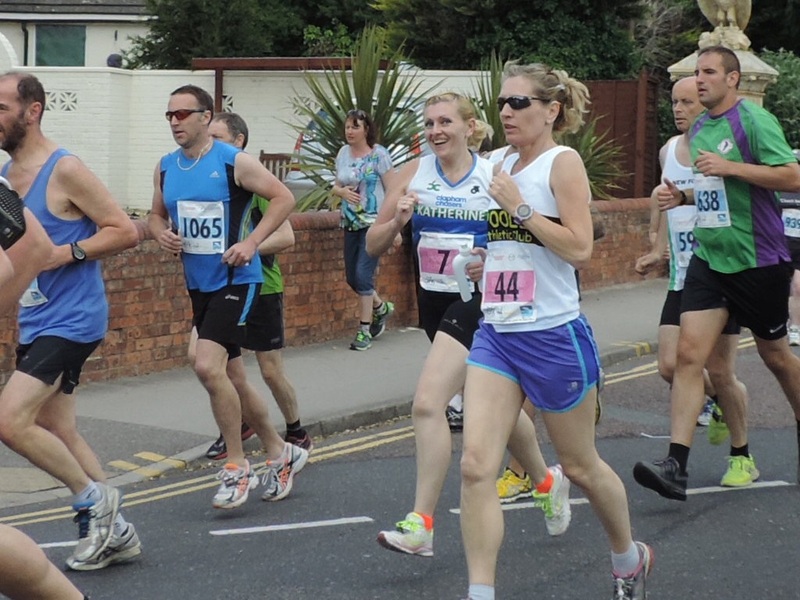 The 10k is positioned as the main event and is referred to as the ‘prestigious Poole 10k’ that attracts top international runners, club runners and fun runners. 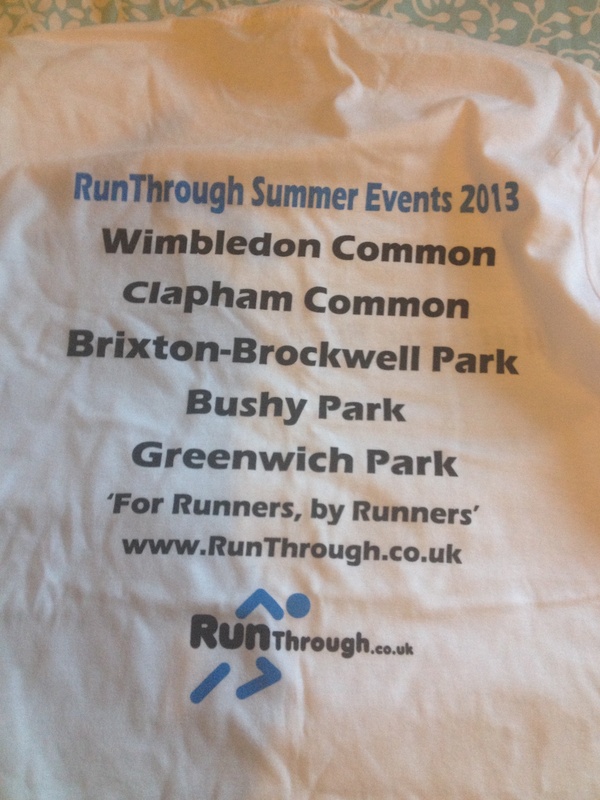 Why on earth they decide that 2pm is a good start time for a race in June is beyond me. Many a time has the sun been high in the sky as runners wilt helplessly below, visions of water dancing before them, wishing it could have been a 9am start. However, that doesn’t stop nearly 1,000 people taking part each year and it was the festivals’ 34th anniversary last week so they must be doing something right! 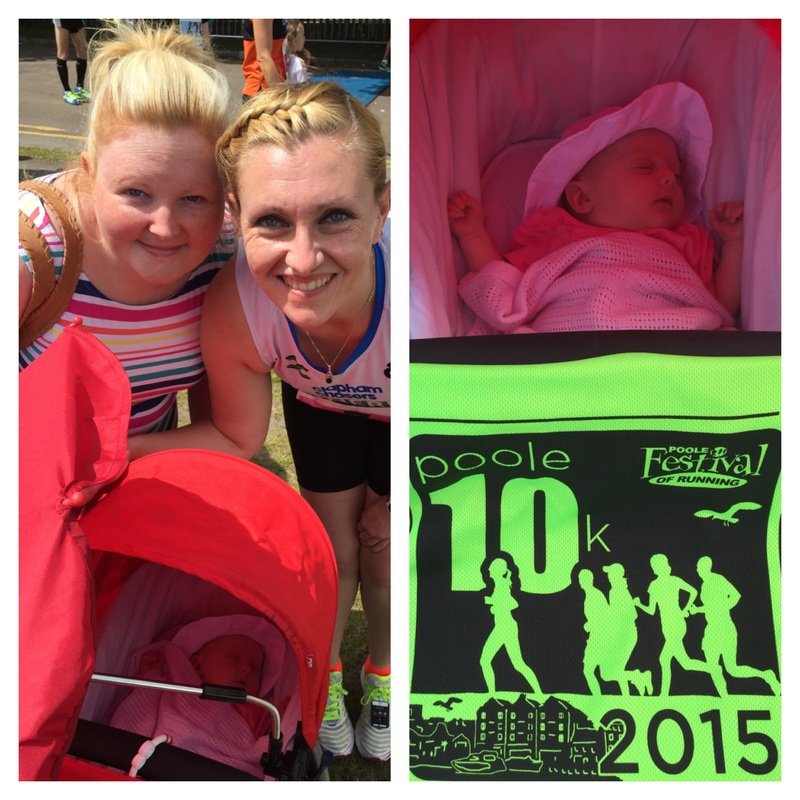 I think this was my 9th Poole 10k. 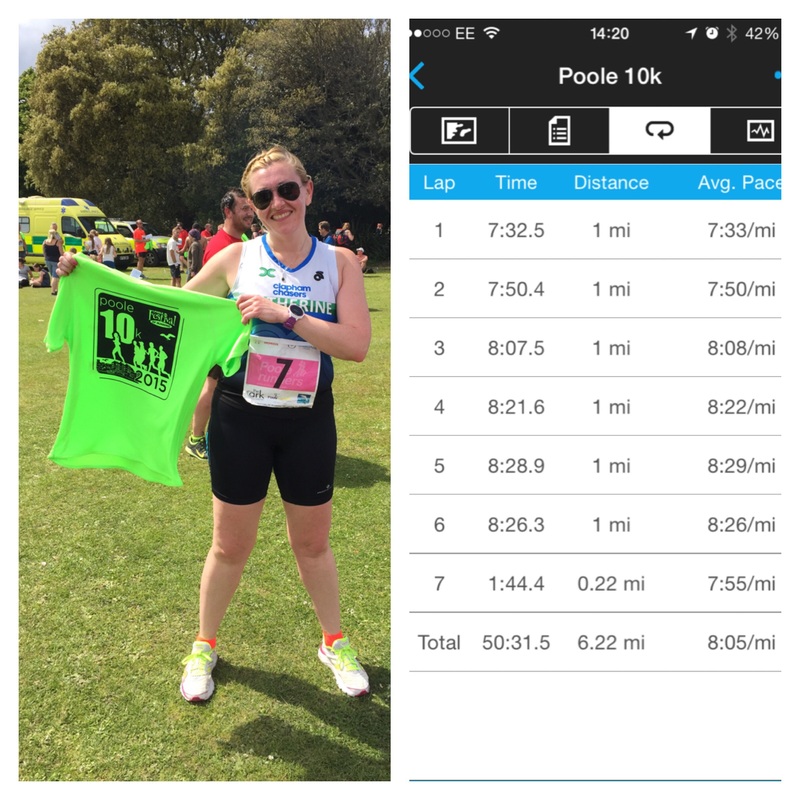 there’ll always be that one race you’ll do time and time again and this is mine, I have more Poole 10k t-shirts than I know what to do with! The first was in 2003, I don’t really remember it but I’m pretty sure Dad did it with me and it was the hardest thing I’d ever done. I can’t find any results older than 2010 so I have no idea what time I did but I was over the moon just to have finished! It became an annual event for me, sometimes Dad would do it, sometimes Mum would do it, sometimes it was stifling hot, sometimes it was raining, one year I ended up with a stress fracture in my foot and one year I came away with a PB I’ve still not been able to beat. I’ve got no idea how I managed a 45.24 10k. It was a much cooler, slightly rainy Sunday in 2011 and all I really remember was targeting a man in front of me and desperately trying to keep up with him! After a 2 year hiatus brought about by frustration of the late start, and fact that they dropped chip timing, I found myself back in Poole for the weekend and lining up under the heat of the 2pm sun (the chip timing is now back!). 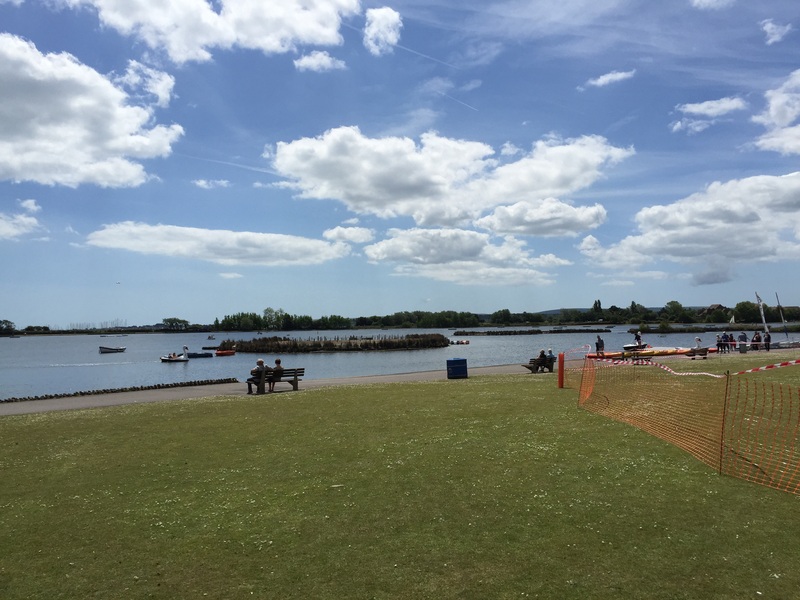 I love Poole Park, I love the local feel of this event, I love the history it has for me, I love the view, and I can’t deny it is well organised, I couldn’t stay mad at the Poole 10k for long. Last Sunday was warm, very warm and I was anticipating a helpful wind on the far side of the lake (during the winter this wind can knock you sideways), but the wind never came and the sun was relentless. I started too fast (obviously) even though I really hadn’t planned to, I knew I wouldn’t be breaking any records so just wanted to enjoy it. I felt really comfortable so was surprised when the first mile came up at 7.33, I’d probably regret that then. I got progressively slower as each mile passed, cursing my eager start, and I melted in the heat, I could try to blame this on the sun and, errm, rolling hills (?!) but really it’s because I have the pacing skills of an excited puppy. I really do. It’s shocking. Coming into the finish I was actually a bit quicker than I thought I might be so I wasn’t too annoyed with myself. I met my family at the end and went in search of a Mr Whippy. I didn’t get my Mr Whippy…the ice cream stall was manned by the slowest ice-ceam server in the world and the queue made me cry a little bit inside. I was OK, I got over it eventually. I’ve never had a single digit race number before! The course record was broken this year, an international runner from Uganda came over the line in an impressive 29.05 – I guess the ‘hills’ didn’t bother him too much then! 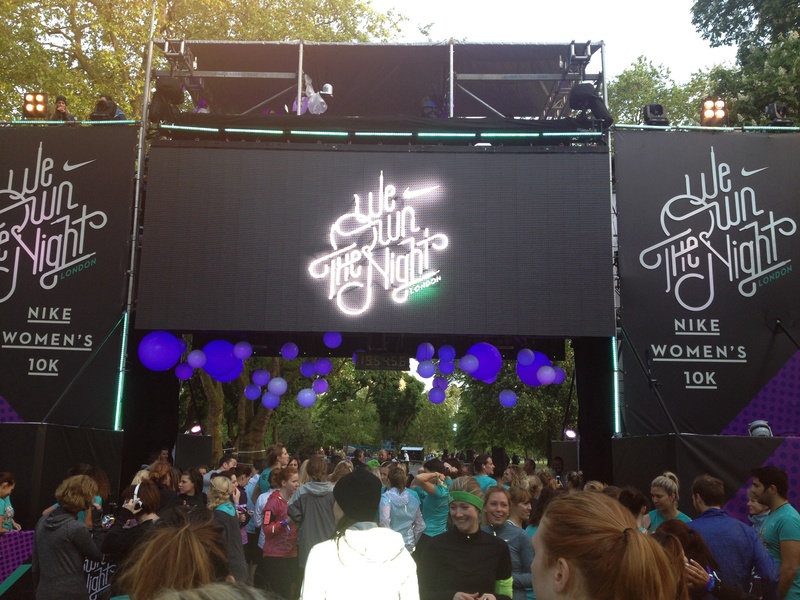 Last year Nike’s We Own The Night 10k was one of my favourite events ever. Unfortunately, as with all good things, this year didn’t quite match 2013 but I still had a wicked night with some booze, some dancing, some pampering and some running! The organisers had clearly taken on board feedback from last year and changed the Victoria Park course to make it wider as well as introducing guest wrist bands to allow supporters into the race village. The weather wasn’t on our side and Gemma and I arrived at Bethnal Green to heavy but sporadic showers – quite a difference to lazing around on beanbags in the sunshine last year! 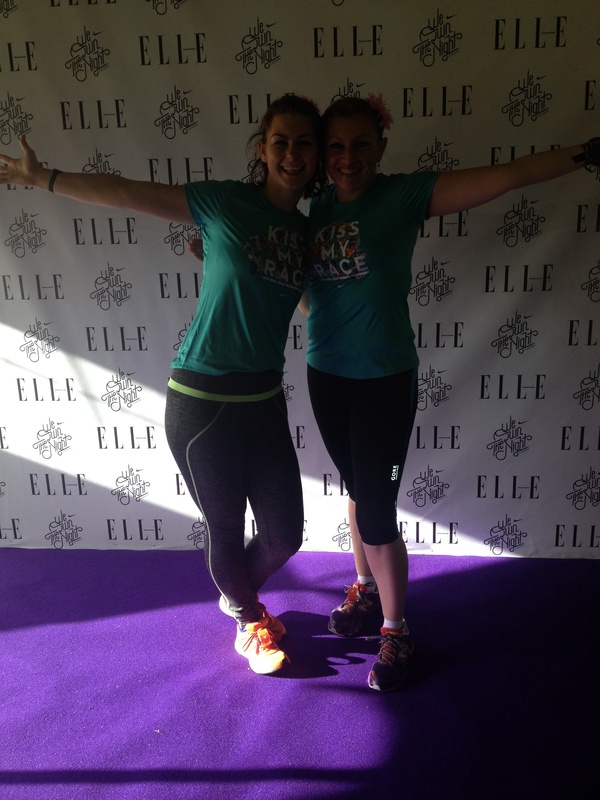 We quickly put our names down for a manicure in the Elle tent (we could only get a post race appointment even though we were there early) but there was no free copies of the mag. New this year was a hair section where you could sit and use some dry shampoo or styling products – we took some flower clips for our hair! 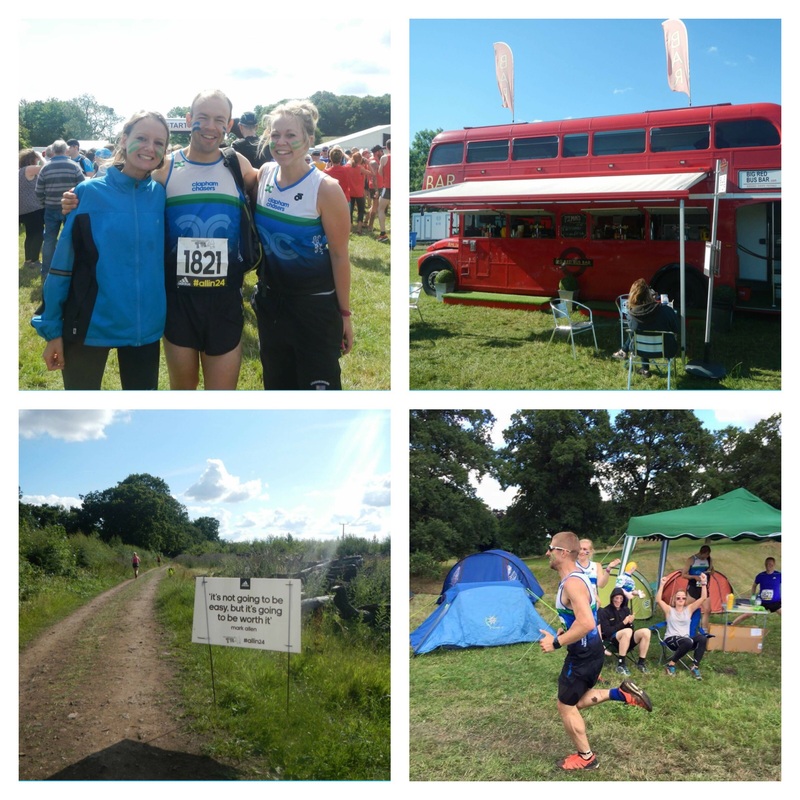 We went to explore the other areas of the race village, where we got a back massage, before heading to the bar for a quick pint of cider before the run….well, I was under instructions to take it easy after a lot of racing so I thought what the hell?! The start area was much better this year with 6 different zones rather than 3 – no one was checking the wristbands though so you could have gone anywhere really (Gemma had lost hers and had no problems getting to the front). They had a separate VIP line at the very front so there was no starting with Paula this time but we scooted our way forwards! 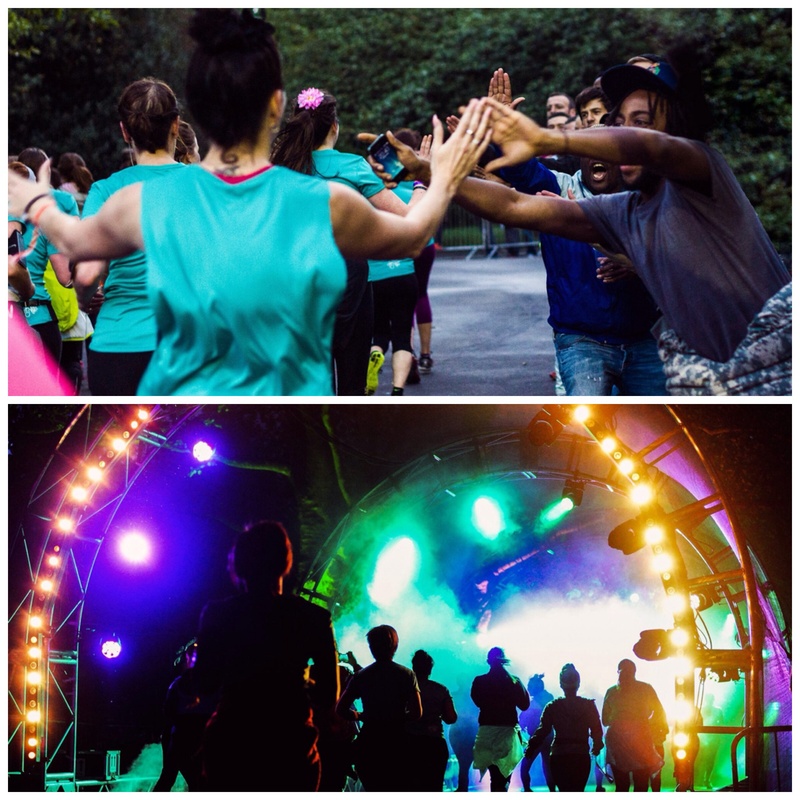 The route was 2 laps – the first 5k was fine after some people dodging in the first few minutes and there was plenty of music and bands on the way round including 2 party tunnels with flashing lights and music. Run Dem Crew were there in force and, in the absence of a Chaser crowd, they are definitely the next best thing! The second lap didn’t run quite so smoothly. As soon as I passed the 5k marker the course became very congested. They had obviously decided to set the groups off in waves with gaps inbetween which makes sense…unless it’s not a 2 lap course! 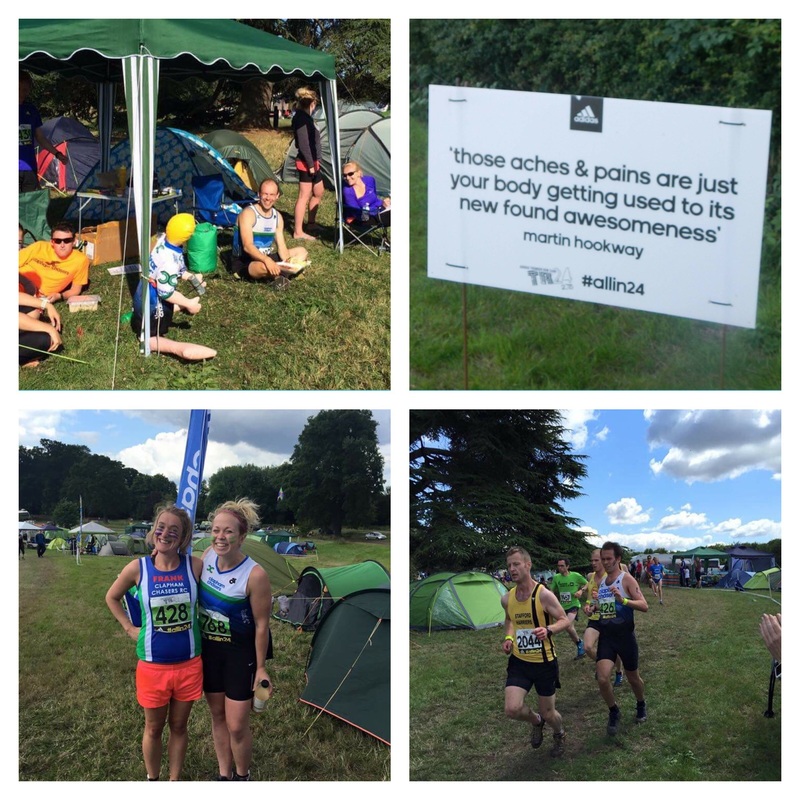 The second half of the race was hard work with a lot of weaving & diving and running on the grass to get through. I’m sure it was just as annoying to have people continuously brush past you as it was for those on the second lap. Definite area of improvement. At about 8k I had most definitely decided drinking a pint of cider before running was a very bad idea, I felt a bit queasy… The finish line came around and there was a big sign saying ‘the party starts here!’ We were given a goody bag and there was a table of Vita Coconut water so I stocked up on a few boxes. 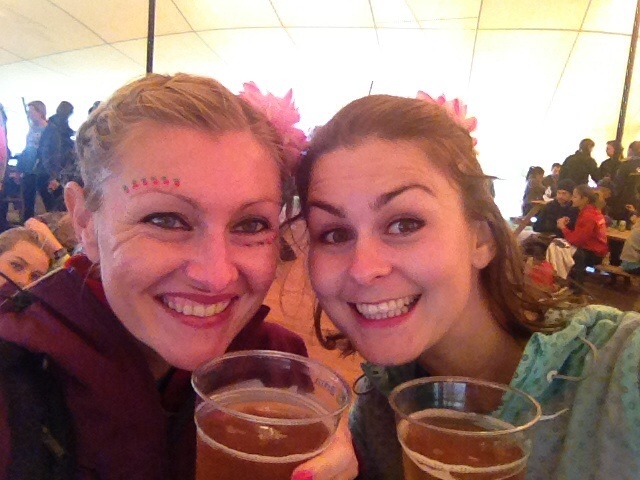 I saw Gemma (who was delighted with her PB – cider made her run faster!) 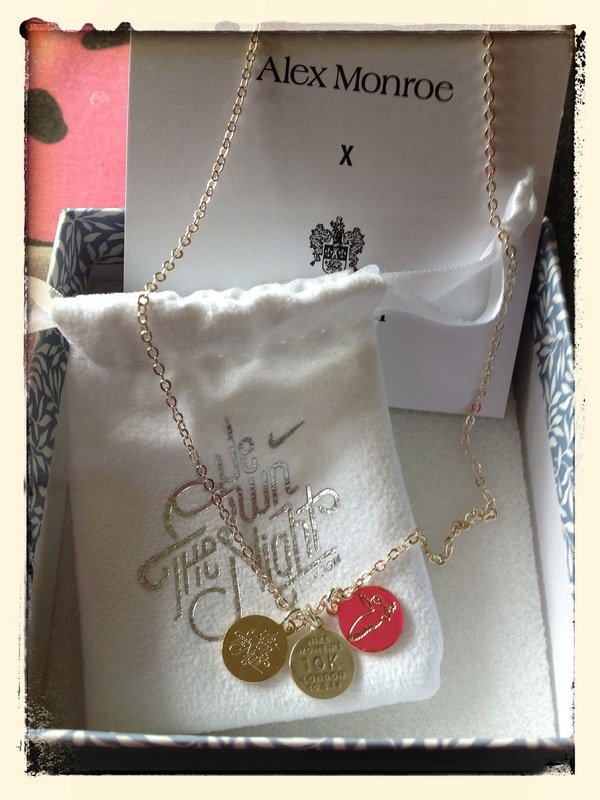 and we made our way out to collect our Alex Monroe finishers necklace – a nice touch for a women’s only race. 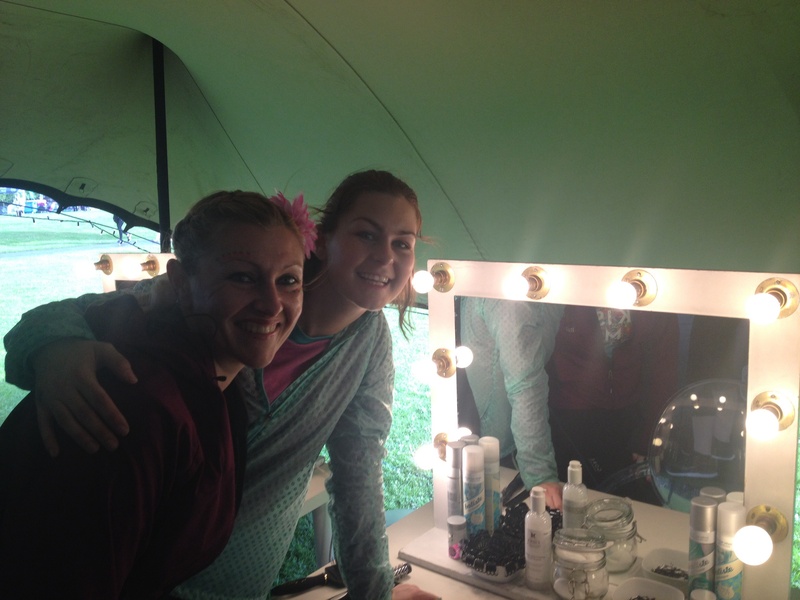 We went back to the Elle tent to have our manicure (Nails Inc, teal, very nice!) 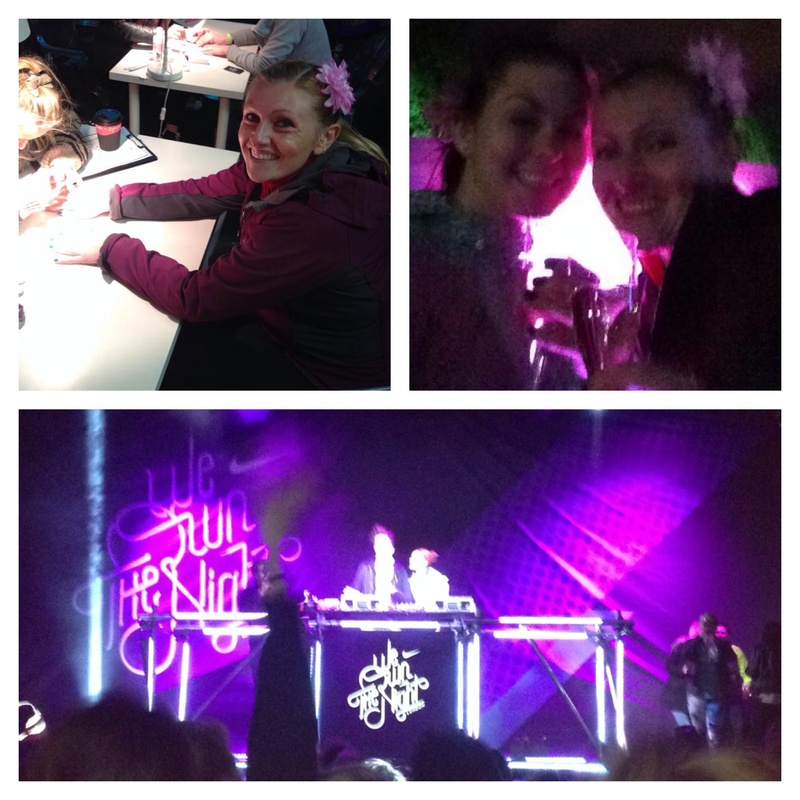 and spent the rest of the evening dancing in a festival atmosphere where Nick Grimshaw was the DJ. Disappointingly, they issued a token in the goody bag for a glass of prosecco this year, rather than an unlimited supply, so we made sure we went back to the pub for last orders before panicking we had missed the last tube home! I’m not really sure about what I think of women’s only events, I prefer running in mixed races (where I can pick the men off one by one as I run past them…) but Nike do a good job with this one and, with the guest passes, it was definitely more inclusive this year even if I did have to compromise on the prosecco! 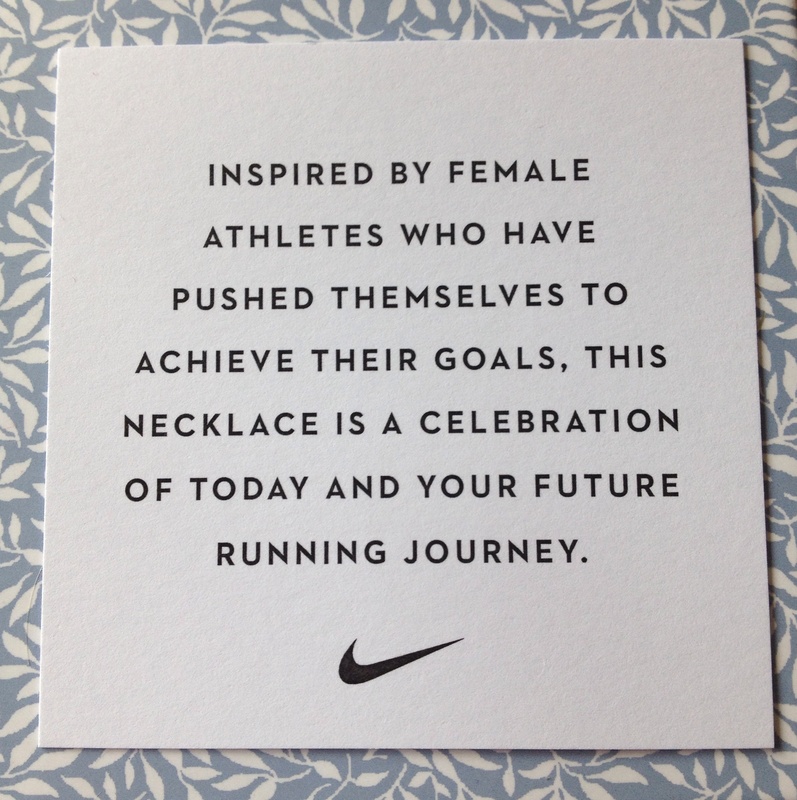 Good job Nike – maybe change the course to a single lap next year though? 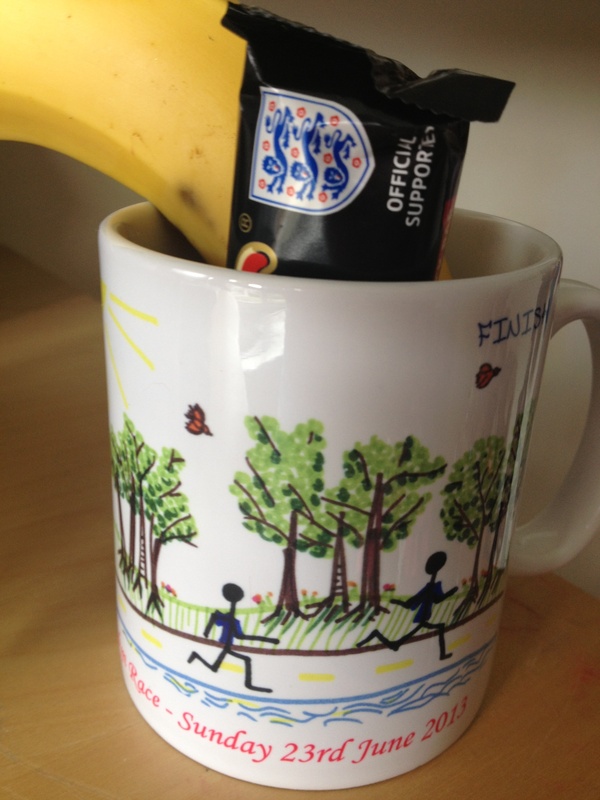 …I’ve drawn this inevitable conclusion after finishing my 4th 10k race in 6 weeks and still not clocked a new PB. 10ks are stupid. 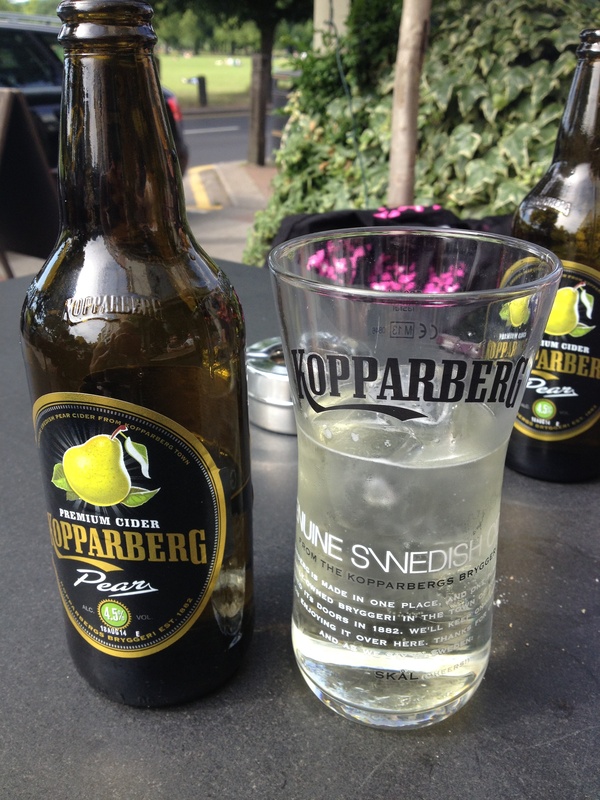 Saturday was also a beaut of a day and I found myself in a beer garden with a craving for cider. I never drink before a race so this surprised my friend who was more than happy to join me for some fruity pear goodness (practically one of your 5 a day anyway). Staying sober and sensible hasn’t done me any favours in the speed stakes so I thought I’d try the ‘fluid & carbs’ approach. 3 seemed about right. Conclusion? Well, neither of these things worked but you can’t compromise on style just because you’re a big sweaty mess and fluid & carbs are as important as oxygen (this is a fact), so I stand by my race prep. It really was a hot, hot, hot day and I was even beginning to feel the heat as I left the house at 8.30am. The sun was scorching as we set off on the 2 lap course and it wasn’t going to let up. Don’t get me wrong, I love the sun and I love the heat but running in it is HARD, I even took a cup of water at 5k which I wouldn’t usually bother doing. I finished in 48.16 and couldn’t get my hands on a bottle of Lucozade quick enough. I’ll just call it a training run then. The best part of the day was spotting super speedy Cat in the crowd, who I met for the first time at the Richmond Relays and meeting Hannah & Lorna who I hadn’t met before but were both fabulous. 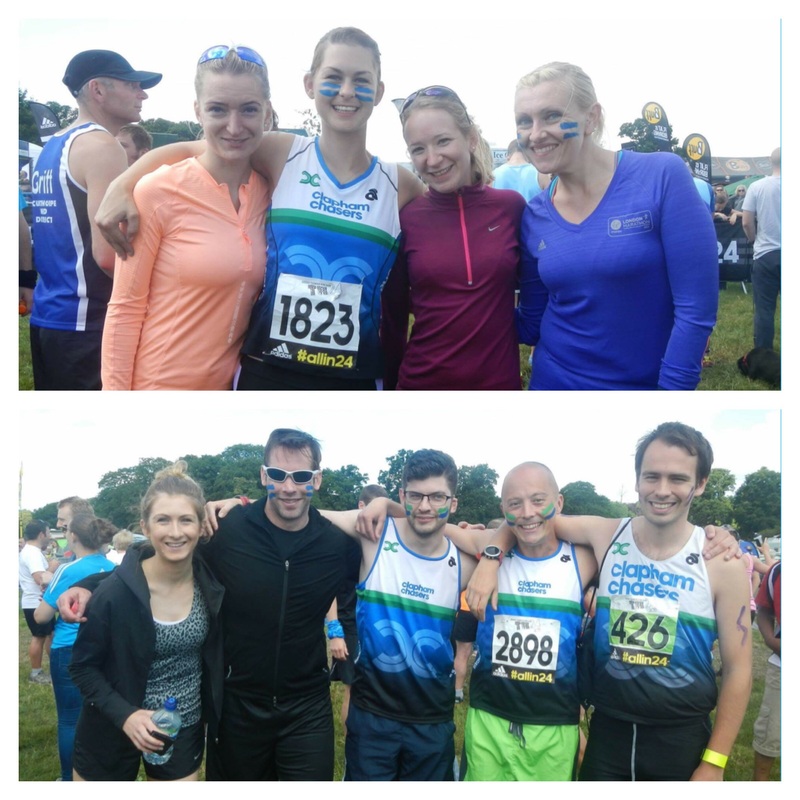 It’s always great to meet up with people who think the same way as you and, despite all being amazing runners doing amazing things, they all had their own self-doubts and concerns. I think they’re just bloody brilliant. Race 1: I beat Paula Radcliffe, ran a time I was more than happy with 4 weeks after VLM and had a fab evening with Zoe & free Prosecco. Race 2: I only bloody well came 2nd and am now the proud owner of a badass trophy! 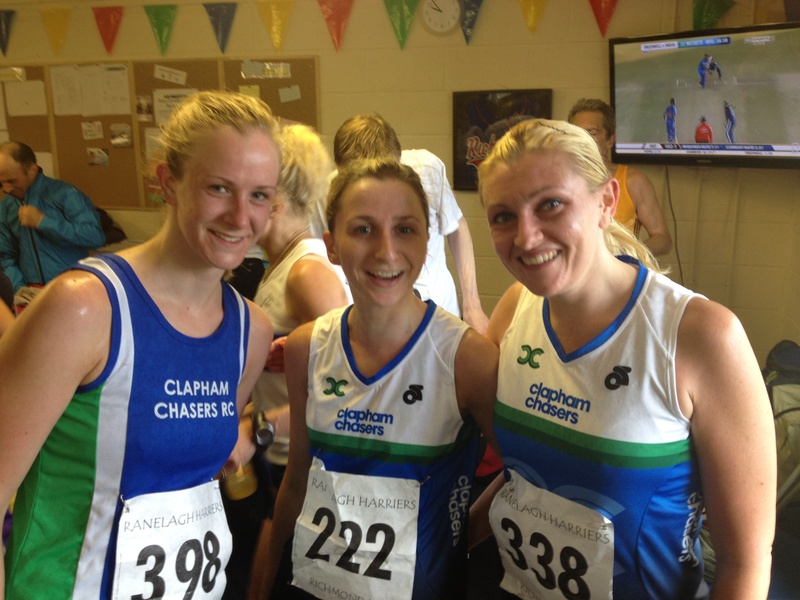 Race 3: I was the 3rd female Chaser in Richmond which officially makes me a Surrey Road League Race points scorer. 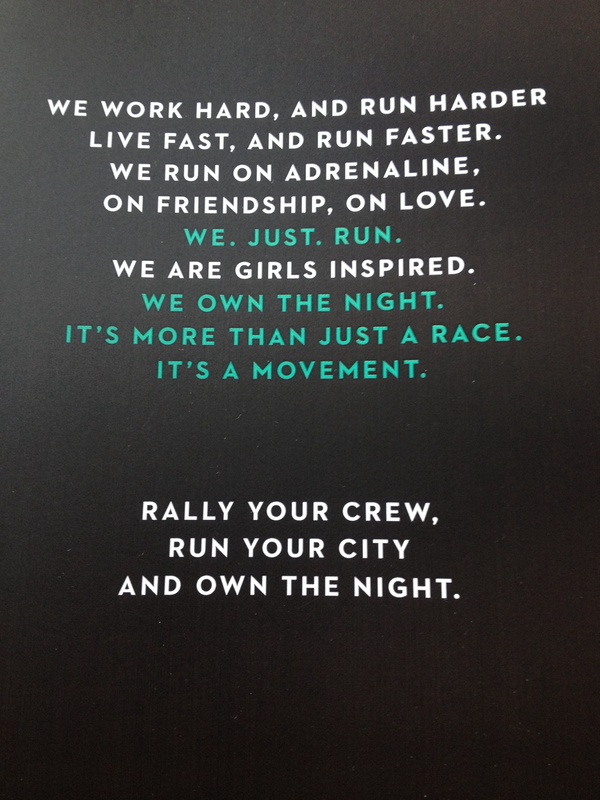 Race 4: I met some truly inspirational runner chicks who reminded me of the true spirit of running and that’s something no timing chip or Garmin stat can ever take away from us. On the plus side, I didn’t ache at all yesterday which meant I was totally up for the Club social run and weekly bants with the Chasers – winner! So yesterday I failed once again to beat my 10k PB. Yesterday I failed to run faster than We Own The Night which was only 4 weeks after the London Marathon so I really should have been on better form. It was a bit windy, and there was a tiny bit of congestion on one of the paths, but I’m not sure either are a valid excuse. The problem with 10k’s, I’ve discovered, is that they’re hard. They’re hard because you practically have to sprint the whole way to get a good time. You can’t give yourself an ‘easy’ mile, you can’t ‘hold back’ in case you run out of energy and you can’t let your focus slip. You go hard, and then you go harder, or you might as well just give up and accept that you’ve already achieved your best. 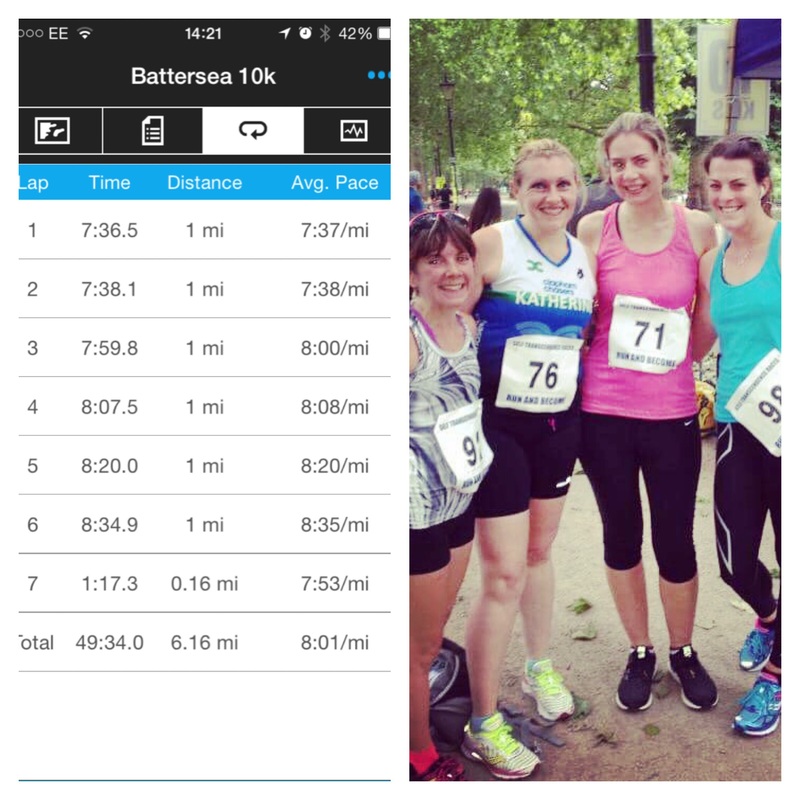 Yesterday was the Ranelagh Harriers Richmond 10K. 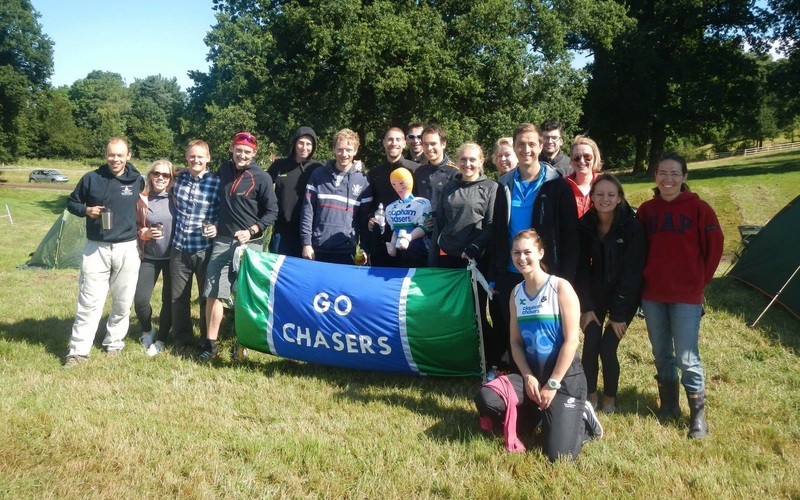 As a Surrey Road League race it was about 90% club runners and there was a pretty good turnout from the Chasers – 11 boys and 7 girls. My usual race strategy is to pick someone in front who’s faster and try and keep up, however, this only works when they’re consistent… Yesterday I seemed to overtake all the people I was hunting down which made it all too easy to fall into my own comfortable pace. I say comfortable, it wasn’t comfortable at all but it wasn’t pushing myself to the nauseating limit which is where I needed to be for a sub 45. Lauren, Ruth and I. A little bit sweaty and a little bit rained on. The race was 2 flat road laps through Richmond, it was a nice course but it was quite windy in places. I crossed the line in 47.34. It’s not bad, but it’s not good, and it’s most definitely not a PB. My self pity was relieved slightly when I realised I was the 3rd Chaser girl home and got a mention in the newsletter this morning, but I’m still disappointed. So the quest for a new PB continues, but there is really only one more opportunity this year to smash it before I’m back in marathon training.